The video games business is one of the most expanding one in the world economy. We are not surprised it’s almost untouched by the crisis.The video game is a compound term for console, offline games and online computer games, mobile games, etc. These are one of the most complex computer technology applications. For example, a contemporary game contains of 3D software, artificial intelligence, strategy, digital sound effects, original musical tunes and some gadgets like joysticks, game pads, even wheels. 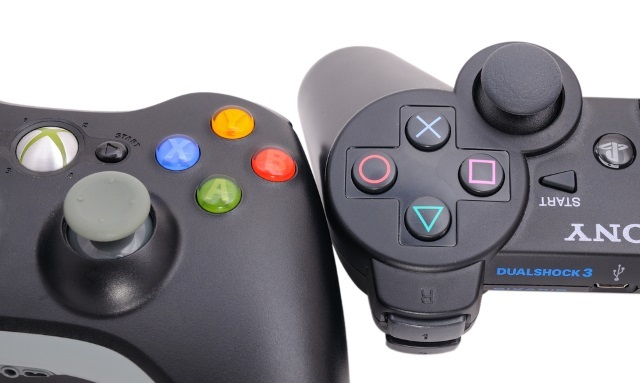 The growth of the gaming industry generates more complex legal issues that must be resolved. As computer programs video games are protected by copyright just like literary works. Because of the copyright the product isn’t allowed to be copied, but the protection doesn’t spread over copying the technical decisions and processes. If definite prerequisites are available – novelty, inventive step, industrial application – the software patent can be granted and used as a barrier against commercial use of the basic program features by the competitors. These software patents continue to be one of the most controversial themes of the game industry. The computer program patents are regulated differently in the USA compared to Europe and Asia Patenting software, even business methods is widespread in the U.S. The American patent system created a liberal, highly developed and facilitated regime for legal protection of computer programs due to the fact that most of the technologies that need protection are created there and secondly, the American companies play dominant role on the gaming market. On the contrary, software programs and mathematical methods are excluded from patent protection according to the European patent convention (Art.52/2). Despite the strict provision, European Patent Office (EPO) has registered several software patents including those related to video games. The regulated exceptions are permitted due to the fact that they are an undivided part of the technical invention as a whole. Konami Co. holds an European patent (EP20060013875) for a football video game which enables the player to pass the ball to another by marking the trajectory – that’s a classical example how the exceptions gain widely spread protection in Europe. The pros and cons of software patent.Supporters of the software patents emphasize on the power of the patent protection because it is not as limited as the protection of the other intellectual property and provides a limited monopoly of their owners. On the other hand, the opponents claim that the patent is only a setback for business innovations and hindrance for young entrepreneurs who has just started their own business. There is a third opinion, in a way more compromising than the others. According to it the patent protects the graphic desingers’ interests and revolutionary technology to a point where they (the patents) start to block the natural evolution of video games development. Video games are not classified as goods or services by the law. In this ‘twilight law zone’ the publishers are free to define and present their products as goods or services. There is a tendency nowadays for these games to be offered as online service. When buying a material item – a CD or a DVD, the user becomes a legal owner of the particular copy of the game. But if the game is used as online service, the user doesn’t become an owner, but gains only an access to the game and therefore can play it online. These rights are defined in EULA/ End User License Agreement/ – a licence agreement, which is a subject of acceptance by the user himself. The provided licence is limited, nontransferable, nonexclusive and can be abandoned. By accepting the agreement, the user declares he will not claim property rights on the account, virtual goods and the contents he had created during the game. This disputable clause refers to the next moon crater for the law. Virtual property exists in virtual economy where it is possible to exchange virtual goods in the context of the video game called Massively Multiplayer Online Role-Playing Game – MMORPG. In the world of RPG games everyone can turn into whatever he/she likes – a prince, an elf, a magician. In order to gain priviliges, the player collects his own armoury of game elements and artifacts. The virtual mansions, man-of-wars, guns, shields, cities, clubs and all other movable and immovable virtual property created by the players can be monetised as real money. Anshe Chung (Ailin Graef’avatar) who is called “The Rockefeller in Second Life “, is the first millionare with real incomes from trade with virtual goods An astonishing deal, according to the skeptics of virtual economy, took place in 2010 between two gamers for the price of 350 000 USD. The subject of the transaction was asteroid, hosting space colony floorage, night clubs, trade centers and other virtual stuff in MMORPG Entropia Universe. The trade with virtual goods tends to increase with incomes of millions of dollars these days. On the contrary, the video game makers have a different policy about trading and monetising the goods. As far as the virtual property is a computer code which has not got legal protection yet, some of the companies stick to such licence agreements which limit the rights on the virtual goods, created by the players. Japanese, Taiwanese and South Korean governments launched real changes in their legislations providing protection of virtual property. The reason was the great potential of virtual economy and numerous legal cases between gamers and game publishers. In return to these actions the famous game publishers – Blizzard and Linden Lab, also changed the tactics in order to generate additional incomes and allow their players to trade and monetise the created game objects. Despite its partial resemblance to real property, the mechanical applying of traditional law on virtual property would not be appropriate because of the numerous , diverse and specific virtual economy cases. There is a bunch of questions which are not regulated yet and therefore they require an adequate and full legislative initiations in international agreements and conventions. The list of questions consists of copyright on the created game’s content by the player himself, validity of the licence agreement clauses for the consumers, the liability for destroying and stealing the virtual property, removing of the user’s account, respectively. Without doubt, video games will display their remarkable economical potential soon and will affirm their position as a leading factor in computer technology development.